Birthday Celebration Still going on at One By One The Flamingo's Are Stealing My Sanity! Today is Random Act of Kindness Day! There's a teacher assistant from my son's school that I learned is having hernia surgery tomorrow. We will be praying for her through this and specifically at the time of her surgery. I was mentioning this to Robbie my son; he said Mama I want to give her a card. He loves her so much and she really takes the time with him. I know she cares about each and everyone of the children in his classroom, but for him to go to her and her light him up like she does is such a blessing. I'm so glad that he loves her like he does. She and I attended the same school, but were involved with other activities so we didn't interact as much then. Now that we have our families and my son is part of her classroom we have become closer and I found out that she's a Sister in the Lord like myself. I love that! I have to say thank you to her for being such a blessing! 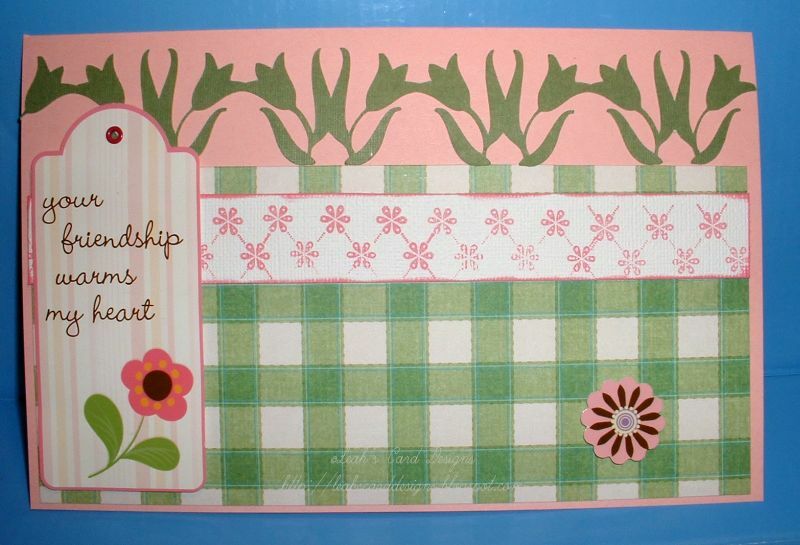 Here is the card Robbie chose for her. 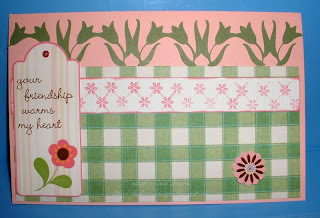 I'm sure you will remember the card as I posted about this one for the cancer support earlier in the month. I am just so proud of him to think of others before himself. He thinks a lot like me in that way. I will go out of my way to help someone because I want to. Thank you for stopping by. I must say that I'm proud of my little one. He's been fighting a bad cold that has had his stomach on edge as well. He's been struggling with it and taking meds and getting rest. I know he wants to get better before vacation, but that is fast coming upon us here. I'm hoping that he'll get all he needs to feeling better. I hate to see him not feeling well. It's so difficult for us as parents when we give them what we can and still can't make them feel good. I'm hoping to get some more craft supplies for us to use during vacation. I have to get busy with the cuts he's requested. I have many to design ~ I have many done, but some need tweaking and they're being stubborn. UGH!